Olga Baclanova received operatic training with the Moscow Art Theatre Musical Studio in the early 1920's. From this prestigious background, Olga became a legend before entering the next phase of her career in America. Her vocal talents were featured in a number of her films. 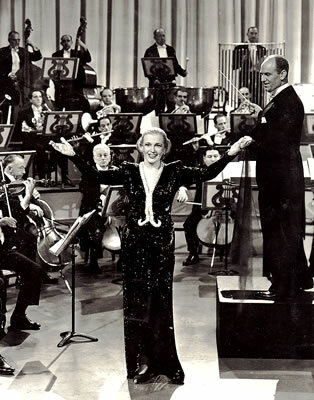 She appeared as a guest singer on many popular nationally-syndicated radio shows in 1930's, as well as hosting Olga Baclanova's Continental Revue on Mutual Network in 1938. By 1940, Olga was making a number of high profile lounge appearances at the Russian Tea Room, The Plaza Hotel, and the Algonquin Hotel in New York City. Olga's repertoire included many Russian-language songs, such as the four posted below, which feature her backed by the F. Zarkevich Orchastra. The four tracks freatured here are the entirety of a two-record 78 rpm album entitled the Olga Baclanova Album. It was released by Unique Records in October of 1946.